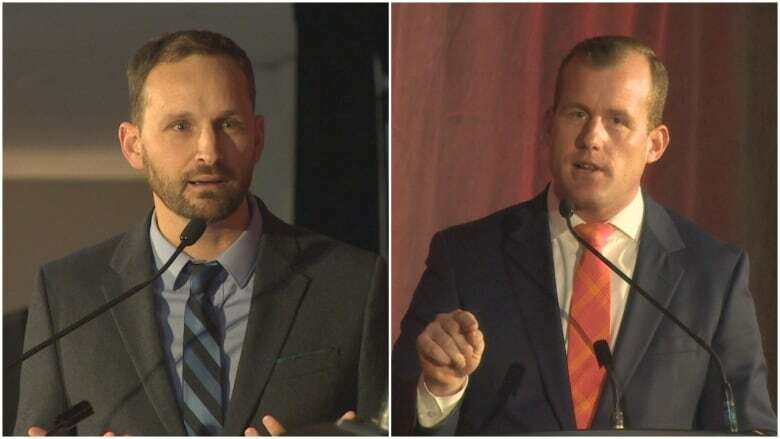 As the race to lead Saskatchewan New Democrats enters its final months, the two men campaigning for the position found themselves sharing common ground at a leadership debate in Moose Jaw on Saturday. Ryan Meili and Trent Wotherspoon saved their sharpest criticisms for the Saskatchewan Party, including its dealings with the Global Transportation Hub and cuts to municipalities' grants-in-lieu and the education system. Meanwhile, both leadership candidates called for more protection for Crown corporations, a $15 minimum wage, and the protection of local voices in health care. 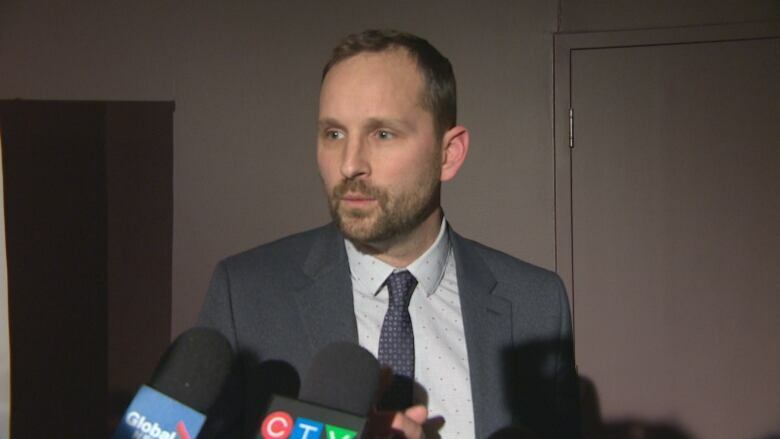 When asked about protecting health services, Meili voiced his concerns about the creation of the Saskatchewan Health Authority and the "loss of local voices." "There's no argument that the Sask. Party likes to privatize, they like to cut jobs and they like to rip up contracts, and that's what worries me the most," he said. Wotherspoon doubled down on the criticism, saying, "This is a premier that struggles to manage the little things, like two land deals by the GTH, let alone a multi-billion dollar medicare system and health care system that we built and depend on." He said people and communities need to be vigilant about protecting their health care services. 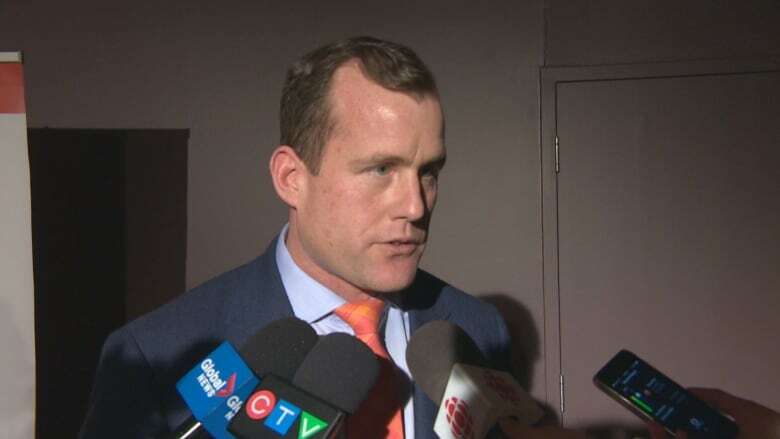 When asked about public services and Crown corporations, Wotherspoon said he would would look for every opportunity "to build back the strength in our public services." He said there needs to be a commitment to "lock our Crown corporations down with the highest level of protection possible," and that there should be a vote from the people before any kind of privatization of these corporations could take place. Meili said public opinion is critical to preserving Crown corporations. "If the Crowns are delivering, if they're growing, if they're keeping costs low, if they're employing people, then any government that comes in and wants to change them won't be able to because of public sentiment," he said. Wotherspoon said he was committed to creating a reconciliation framework to act on meaningful areas, including addressing mental health, economic opportunities and education with Saskatchewan's First Nations, particularly to address what he called the "abhorrent under-funding" of education on reserves. "We need to close that gap immediately." Meili agreed that it was not right that children attending schools on reserves receive anywhere from 30 to 50 per cent less of funding than children attending schools elsewhere in the province. "Mr. Wall has liked picking fights with the prime minister. If there's any fight we should be picking with the federal government, it's this one," he said. "That's what's costing us our future." While both shared similar views on protecting Crown Corporations, the need for a healthy public service and worker rights, Meili and Wotherspoon offered differing explanations when it came to why people should vote for each of them. Wotherspoon emphasized his background as an educator and political background with 10 years spent as an MLA. "We need to unify coming through this (and) build as a party," he said of the leadership race, adding he has that experience of team-building. "I have the support of an incredible group of caucus colleagues and those that have served before." He said he is ready to do the work to build the party into a "progressive force" that is ready to win in an election. Meili said that coming to politics as a newly elected MLA from a health background means he brings a "new set of eyes" to the party. Saskatchewan's NDP has been taking a consistent approach of playing it safe, he said. "I think it's time for us to be a bit bolder, a bit more creative in our ideas. People are looking for change. They're looking for something authentic and exciting and it's time we offered them that." The date of the election of a new leader of the Saskatchewan New Democrats will be March 3, 2018.